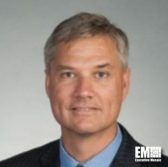 Dave Vennergrund, director of data and analytics at General Dynamics’ information technology business unit, has said cloud technology offers an avenue for federal agencies and companies to develop artificial intelligence tools. He wrote in a blog entry posted Thursday that cloud provides a system designed to facilitate algorithmic machine learning processes; services intended to support deep learning, data ingestion, transformation and visualization; and public data sets used to train algorithms. The AI field also covers speech and facial recognition, language translation and robotics, according to Vennergrund. He added that organizations use the technology to create applications, analyze data and automate multiple tasks such as fraud identification, travel risk assessment, biometric verification and genomic expression data assessment.